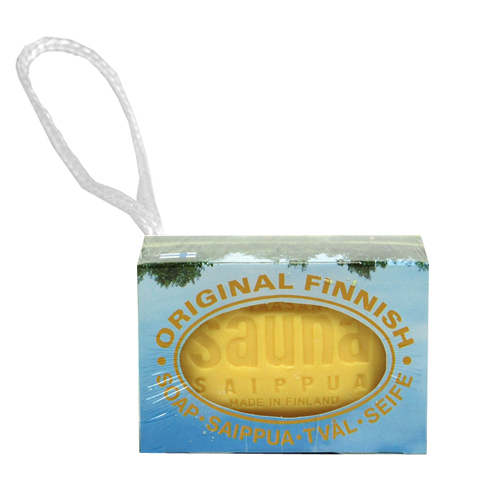 More about Original Finnish Sauna Soap on a Rope - Birch Enjoy the complete sauna experience by washing with this authentic birch-scented soap. The large 8 oz. (225g) bar has the refreshing natural birch scent which many Finns associate with sauna. The souvenir packaging sports a nature photo and information about the sauna experience on the back. 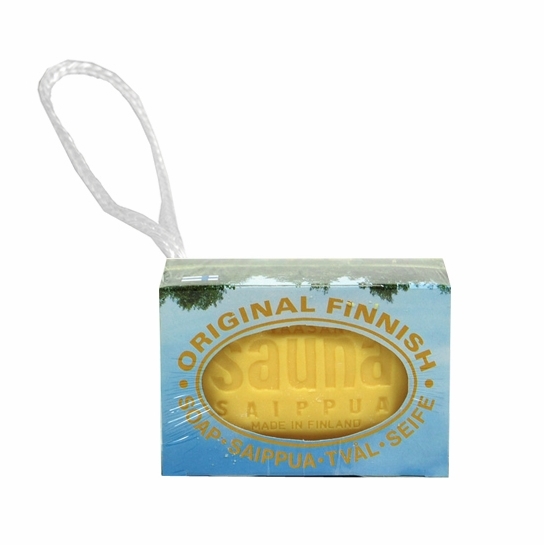 Soap up before a nice cool shower or plunge in the lake with the Original Finnish Sauna Soap - Birch. I don't love anything perfume-y and usually buy only unscented products. However, I bought this for my husband as a stocking stuffer/Christmas gift along with the sauna mitt. My husband who usually uses Zest soap says he really likes it and I actually don't mind the smell. Maybe I've talked myself into liking it because birch soap sounds so natural and winter-y. Whatever the reason, we both like this. Also FYI, it's a good-sized bar of soap, about 10-15% larger than standard bars of soap.